We don’t switch email marketing tools daily. Email marketers don’t change suppliers because they think it will be fun to do. But there are enough reasons to switch from one email marketing tool to another. One thing often overlooked is the true costs of the switch. We take a look. While the old supplier might not be up to par, you still have to find a new one and that takes time. You are also not just looking for a replacement. The intention is to switch to a new email marketing tool and stay with them for a longer period of time. So you need to know what you are looking for, maybe write an RFP, go into meetings with email agencies, calls, demos, and that is just to see the available options. You are looking for the best email service provider that fits your needs. During and after a first selection is made, contracts need to be drafted and there is probably some negotiating about price and service levels. One integral part of these contracts is the Service Level Agreement (SLA ). While the SLA and negotiation can save you a lot of money and future disappointment, it also takes up quite some time to do thoroughly. Once all is signed and done, the ”real” work begins: Implementation of the new Email marketing tool. This includes setting up database(s), backing up or transferring data, adjusting email templates, the set-up of all triggered programs, dynamic selections, etc. Usually the first step is to “get everything over” and not even improving on them. Even when not following an official training, getting to know how the new email tool works takes some time. 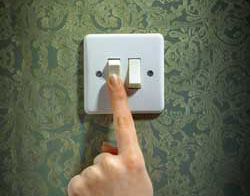 The switch involves knowledge, procedures, people and responsibilities. Knowing how the software works in detail takes time (and resources). This can be added to the true switching costs. The new supplier has to get the inside scoop of your business and company. This is especially true for full service email marketing vendors. If they are aiming to help get email marketing to the next level, it is a necessity. When switching from one Email marketing supplier to another, you will be sending from other email servers. New email servers are not allowed to send large numbers of email in one go, so to make your emails get delivered, it should be increased over time. It is a process called “warming up IP addresses” and it is a part of email deliverability. This costs resources, but not doing so will amount in a lot of email not being delivered and that will cost even more. Sometimes it is possible to make a clean cut and move from one supplier to the next with a big bang. But most of the time it is a step by step process or you would like to keep the former supplier on, just in case. You might need to pay duplicate licence fees and in some cases you might even be held to a contractual exit-fee from the old email tool supplier. The total cost of switching email tools can be a significant attack on your resources. So be sure to take them into consideration in advance and don’t let your budget be ambushed while making the switch.